The Patrol is a rare bird these days. In these modern times, when almost everything is about unibody crossovers, models like this one are real exotics. A body-on-frame platform is not so common thing, even among full-size SUVs. 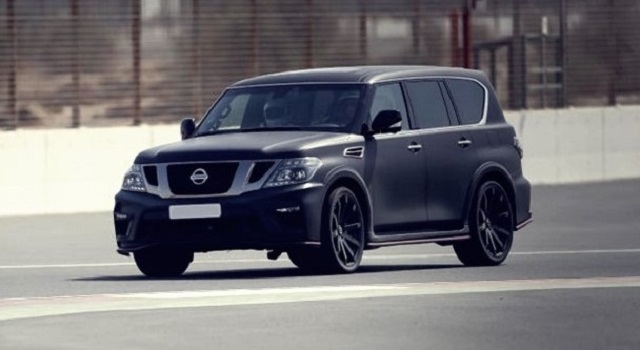 Therefore, we can hear a lot of opposite reports about the 2020 Nissan Patrol. Some suggest a complete redesign, others go even further, suggesting unibody platform. At this point, it looks like none of these two things will happen. The next year probably won’t bring too many changes. This model is about to carry on with the same design, which may be old, but definitely has a lot to offer. Excellent off-road capabilities, but also good handling on the road are some of the things you can count on with this one. On the other side, the cabin may look a little bit old, but you definitely won’t lack in terms of standard equipment and tech features. The 2020 Nissan Patrol should arrive sometime late in the year. The current generation of this full-size SUV has been around since 2010. It is a quite long time, so it’s no wonder several reports suggest a redesign. 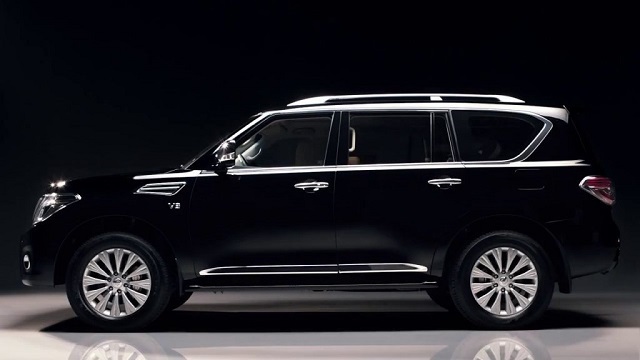 However, it looks like the 2020 Nissan Patrol will carry on without bigger changes. For these nine years of production, we haven’t seen too many changes in terms of mechanics. On the other side, the styling has been updated a couple of years ago. For that occasion, we have seen a couple of interesting novelties. Of course, most changes came at the front end, where we saw new headlights, bumpers and more. For the next year, the best we could see is a couple of new color options. The rest will remain untouched. Same goes for the interior design. This cabin is quite old, so an outdated dashboard definitely isn’t a surprise. It definitely shows its age and comes with lines and materials that belong to another era of the automotive industry. Still, the overall quality is pretty good, almost on par with premium SUVs. In higher trims, you can even count on wood trims and other additions that make this cabin look much more luxurious. The aesthetics of this SUV may be questionable, but you can definitely count on a lot of functionality. This SUV comes with a very spacious cabin, which comes with standard three rows. The most amazing thing is that all three rows can comfortably accommodate adults. First, two rows are particularly generous in terms of the legroom, while the third one is quite decent as well. On the other side, the cargo area could be bigger, given the size of the vehicle. You can count on around 16.5 cubic feet behind the third row, while the overall capacity goes up to 95 cubic feet. 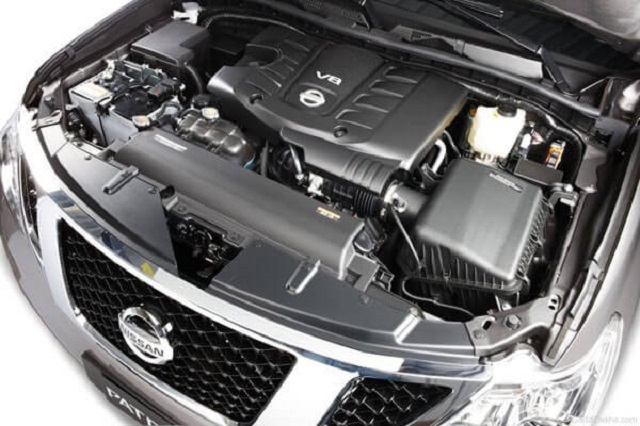 Two familiar engines will carry on in the 2020 Nissan Patrol. Base models will continue with a familiar 4.0-liter V6 engine, which delivers around 275 horsepower and 290 pound-feet of torque. Still, an optional 5.6-liter V8 seems like a far better choice, mainly because of much more power. This one delivers around 400 horsepower and 410 pound-feet of torque. Both engines are extremely reliable and durable. When it comes to the transmission, all versions feature a 7-speed automatic gearbox. In some parts of the world, such as the Middle East, there is also a version tuned by the company’s famous Nismo division. Besides numerous visual and chassis updates, this version also gets a small power boost, so a max output goes up to 428 horsepower. When it comes to standard equipment, the 2020 Nissan Patrol will definitely have a lot of things to offer. In terms of tech goodies, this SUV comes standard with things like an 8-inch touchscreen, Bluetooth, voice recognition, satellite radio etc. The biggest complaint goes to the infotainment system, which is outdated and complicated to use. Also, you can’t get things like Apple CarPlay or Android Auto. When it comes to the safety system, the list of standard features will be pretty long and it will include things like rearview camera, front and rear parking sensors, forward collision warning, automatic forward emergency braking, adaptive cruise control etc. There is also a fine amount of optional goodies, such as a surround view camera, blind spot monitoring, backup collision intervention, lane departure warning etc. 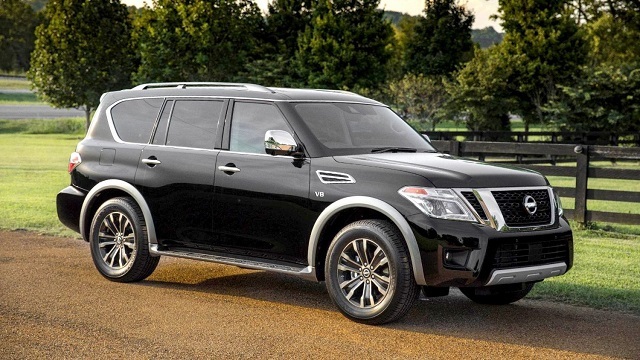 Given the lack of changes, the 2020 Nissan Patrol should arrive sometime late in the year, sometime in December. When it comes to the price, we don’t expect any bigger changes. It depends on the market, but in most cases, base models start at around 50.000 dollars. Some reports that the redesign could happen in about a year or two, so this could easily be the last year of the current generation. Allegedly, Nissan will join forces with Mitsubishi in creating new Patrol and Pajero models.